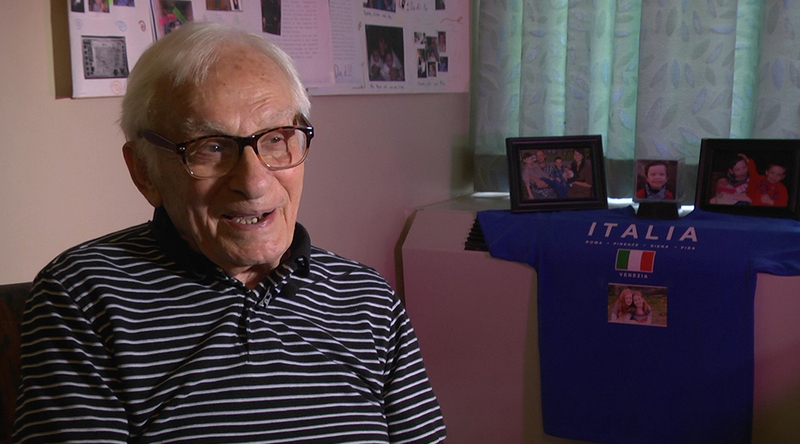 He may have been born in Italy, but World War II veteran Dante Antonacci – who turns 100 today – lives and breathes red, white and blue. Antonacci’s family fled his Italian homeland in 1925 to escape the fascism that was gaining momentum. He recalls many days at sea and several stops along the way aboard the Leonardo da Vinci when he was just 10 years old. He quickly learned to speak English, survived the Great Depression and attended Penn State following high school. 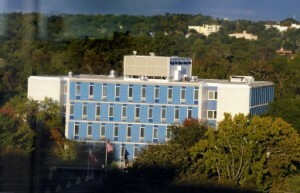 Antonacci was drafted into the U.S. Army shortly after marrying his childhood sweetheart Lida, the mother of his four children. “She taught me to be an American,” he said. 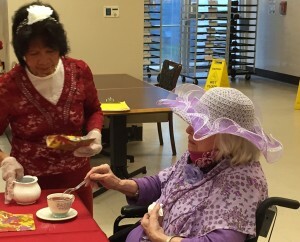 He served in the Pacific Theatre during World War II – as an American – which made him an enemy of former Italian comrades and even his own cousin. His 30th birthday on Aug. 7, 1945, should have been a milestone for him, but it was overshadowed by the dropping of the first atomic bomb in Hiroshima the day before. Then, a second atomic bomb hit Nagasaki two days after Antonacci’s 30th birthday. 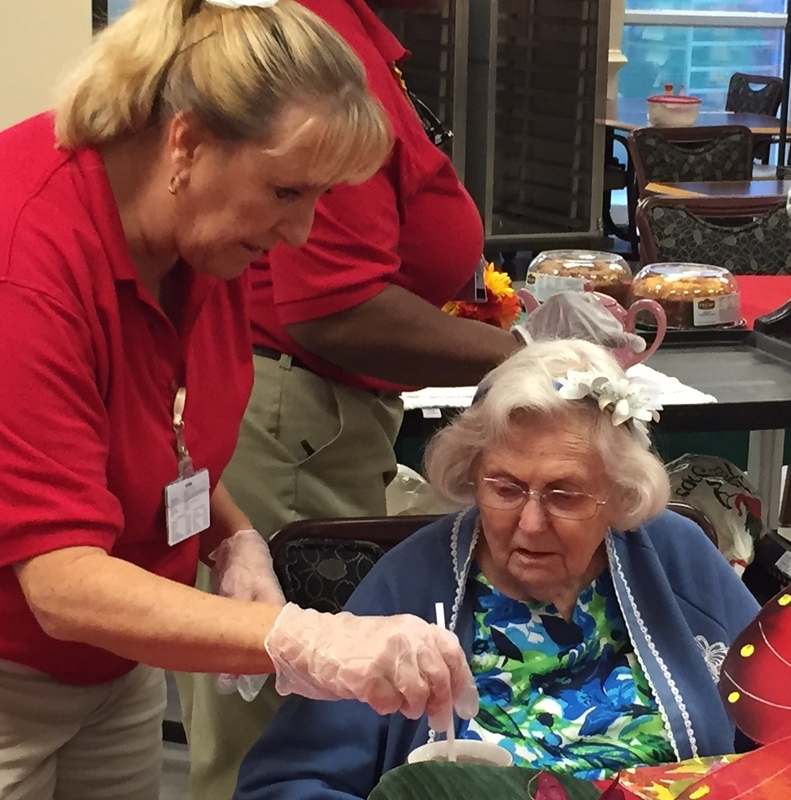 The Georgia War Veterans Nursing Home staff organized a birthday luncheon for him on the eve of his 100th birthday, serving two Italian specialties – lasagna, spaghetti and meatballs. 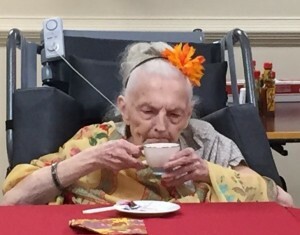 The meal was topped off with a huge patriotic-colored birthday cake, and his great-grandson Max leading a roomful of family and friends in the “Happy Birthday” song. When it was his turn to take the microphone during the festivities, Antonacci was overwhelmed with emotions. Georgia War Veterans Nursing Home will be conducting a Memorial Day Ceremony on Monday, May 25, 2015, at 9 a.m. in the Courtyard. Lieutenant Colonel Peter Knight from Fort Gordon will be the guest speaker. 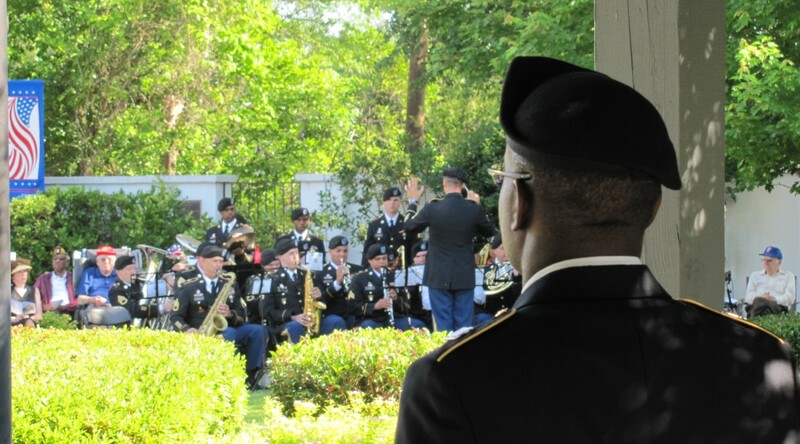 In addition, Fort Gordon’s United States Army Signal Corps Band and the Post Ceremonial Detachment Color Guard will participate in the ceremony. 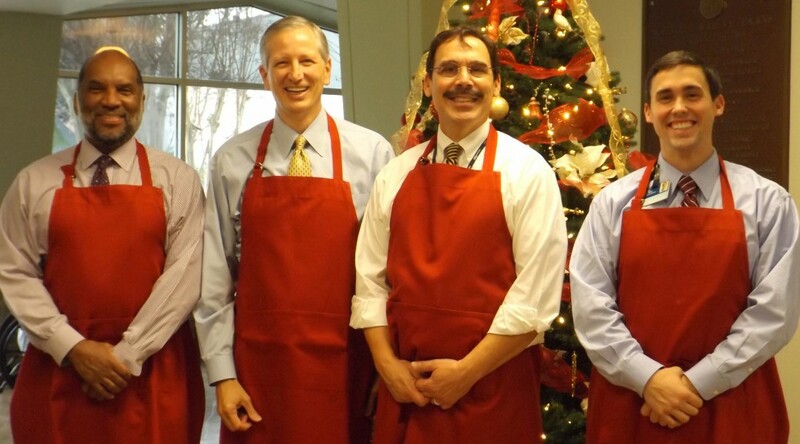 Anthony Wagner, Executive Vice President for Finance & Administration/Chief Business Officer, Georgia Regents University and Health System, and Steven Scott, Vice President and Chief Operating Officer, Georgia Regents Medical Center, representing GRU Senior Leadership, visited the Georgia War Veterans Nursing Home and served lunch as a token of their appreciation for the veterans’ service to our country. 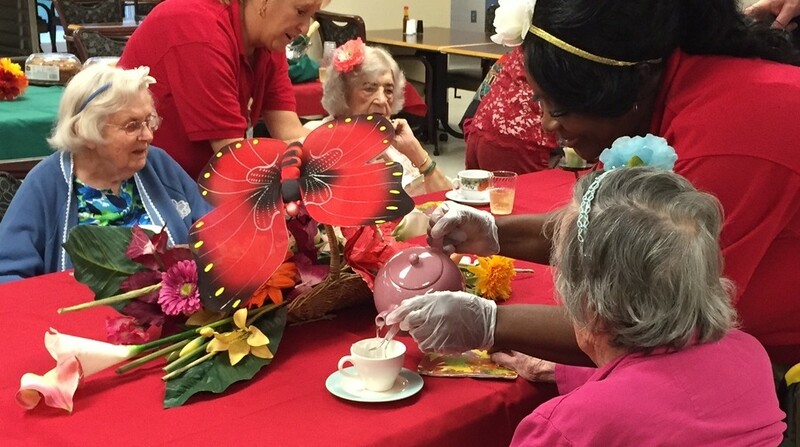 They were joined by Charles Esposito, Executive Director, and Carlton Deese, Associate Director, both of Georgia War Veterans Nursing Home, as well as facility department managers. 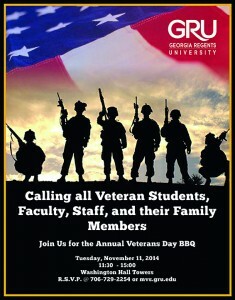 Georgia Regents University and its partners will host several Veterans Day events to show support for our troops and what they have done for our country. 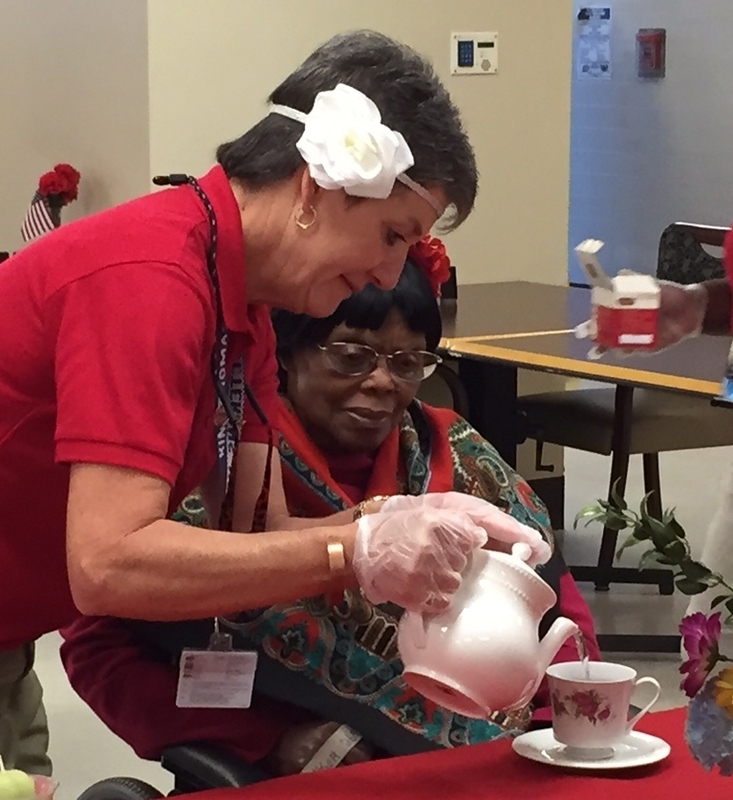 The Georgia War Veterans Nursing Home will host its annual Veterans Day ceremony at 9 a.m. Tuesday, Nov. 11 in the courtyard. Col. Brannen C. Cohee, Commander of the 480th Intelligence, Surveillance, and Reconnaissance Group at the U.S. Army Signal Center of Excellence at Fort Gordon will be the guest speaker. 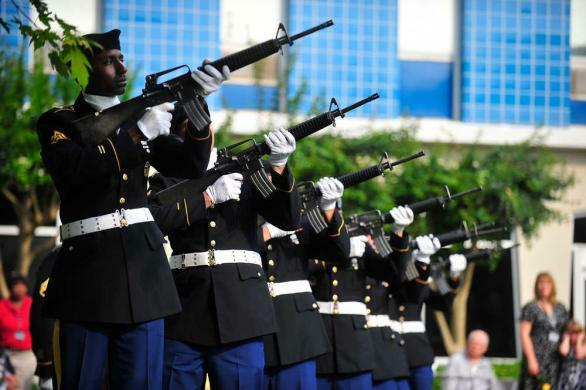 The ceremony, which is open to the public, will also feature Fort Gordon’s U.S. Army Signal Corps Band and Post Ceremonial Detachment Color Guard as well as the Butler High School Drill Team. The Georgia War Veterans Nursing Home, operated through an interagency agreement between Georgia Regents University and the Georgia Department of Veterans Service, is located at 1101 15th St. For more information, call Karen Yonce at Georgia War at 706-721-2531. 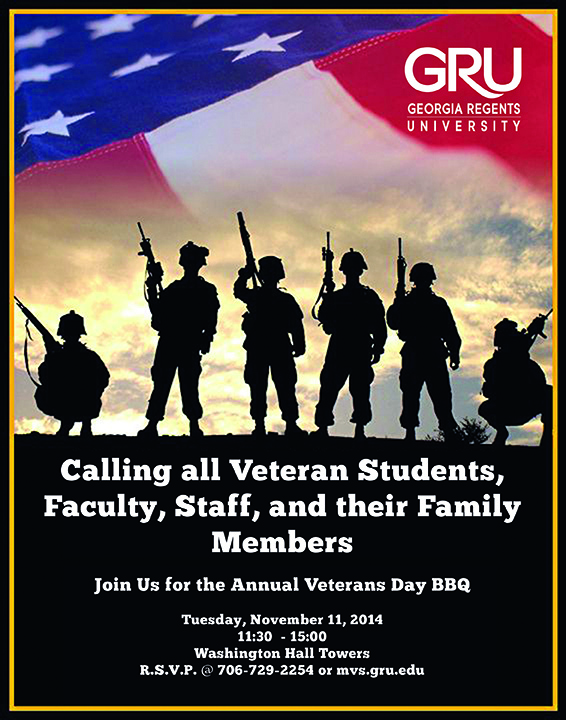 Later that day, GRU’s Office of Military and Veterans Services will host its annual Veterans Day Barbecue from 11:30 a.m. to 3 p.m. in the Washington Hall Towers on the Summerville Campus. For more information on this event, see the flier below or call Carol Giardina at 706-667-4087. 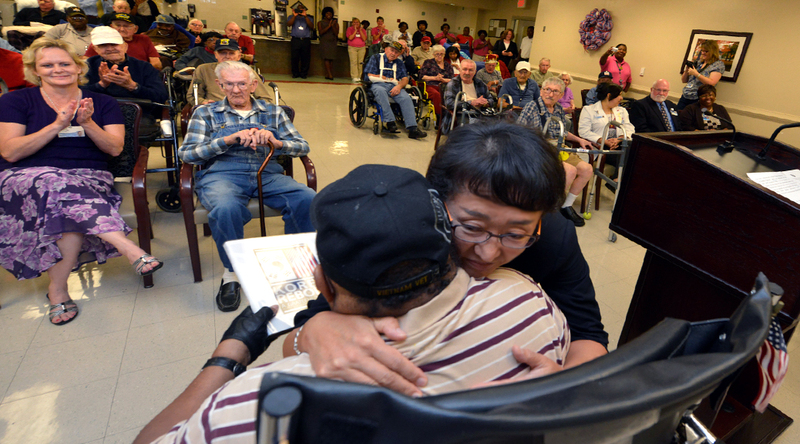 Rhyoiu was at the home Aug. 21 to honor Korean War veterans living there and to thank them for their service. Those veterans also received a copy of the book, which was commissioned by the Republic of Korea, in cooperation with the United States, to commemorate the 60th anniversary of the Korean War Military Armistice Agreement. Copies of the limited edition hardcover printing of the book are available free to Korean War veterans while supplies last. The Department of Veterans Services has a few additional copies of the book, which are available to Korean War veterans or family, and a free e-book edition is available at remembermyservice.com/koreapreview.html. 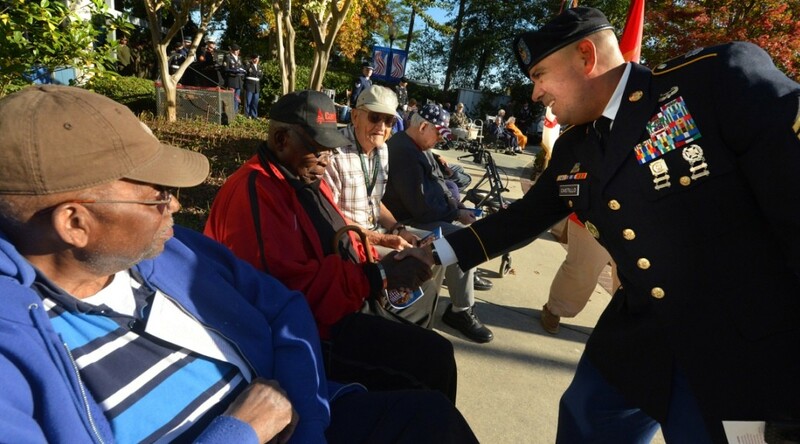 An estimated 75,000 Georgians served during the Korean War and approximately 58,000 Korean War veterans live in Georgia today. Georgia War Veterans Nursing Home and community members took a moment on Memorial Day to reflect and remember the veterans who have passed away. 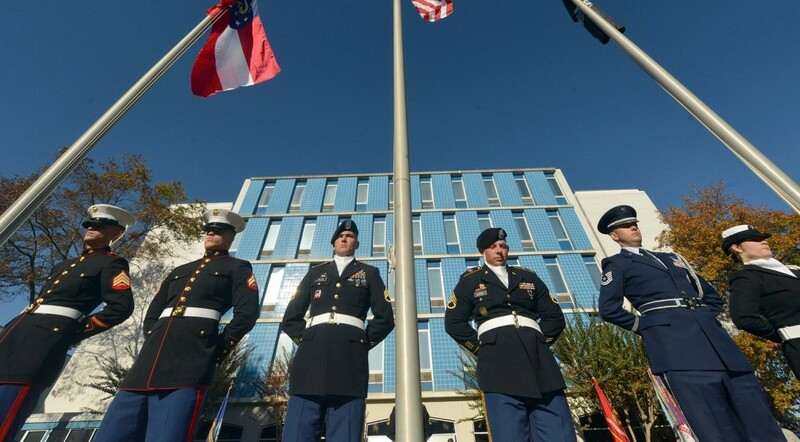 Community leaders Mayor Deke Copenhaver, Fort Gordon’s own Colonel Michael Hildreth, and others also reflected on the special day. Hildreth said this day was particularly special for him. Hildreth asked that we not let our reflection be merely mental, but use it as a motivation to make our communities a better place. “If America’s fallen heroes could be with us today, I think they would be happy with our freedom that their sacrifices ensured,” he said. “But they would want us to remember what is important, such as our families and our neighbors. 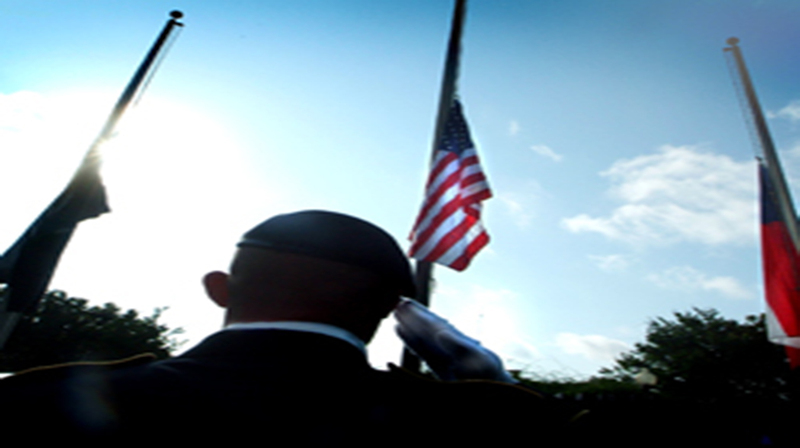 AUGUSTA, Ga. – The Georgia War Veterans Nursing Home will host a Memorial Day ceremony at 9 a.m. Monday, May 26, in the facility’s courtyard. Col. Michael Hildreth, Deputy Assistant Commandant for the Army National Guard at Fort Gordon, will be the guest speaker. 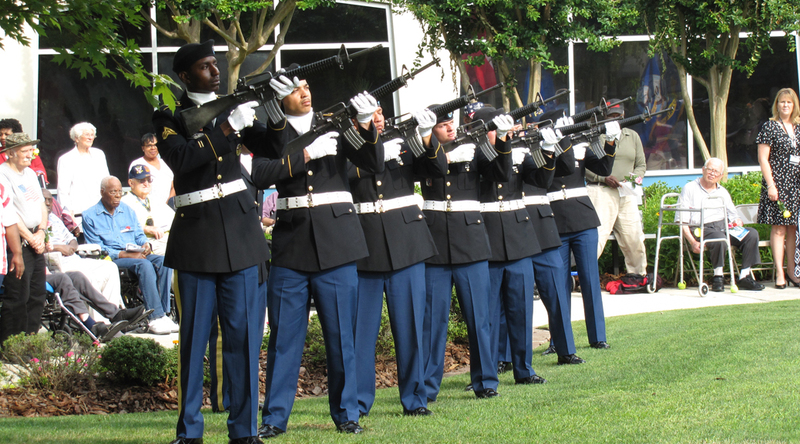 Fort Gordon’s U.S. Army Signal Corps Band and Post Ceremonial Detachment Color Guard also will be featured. The Georgia War Veterans Nursing Home, operated through an interagency agreement between Georgia Regents University and the Georgia Department of Veterans Service, is located at 1101 15th St. For more information, call Karen Yonce at 706-721-2531.